The Menorah, a 1995 gouache by Mark Podwal, was selected as Artwork of the Day by the Metropolitan Museum in New York. Several other of Podwal's works are in the museum's collection, such as "Seder", "Iyar" and "New Moon". 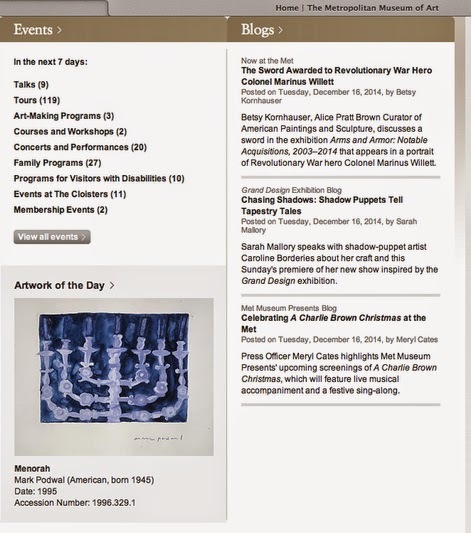 View the Met's online collection of his work here.